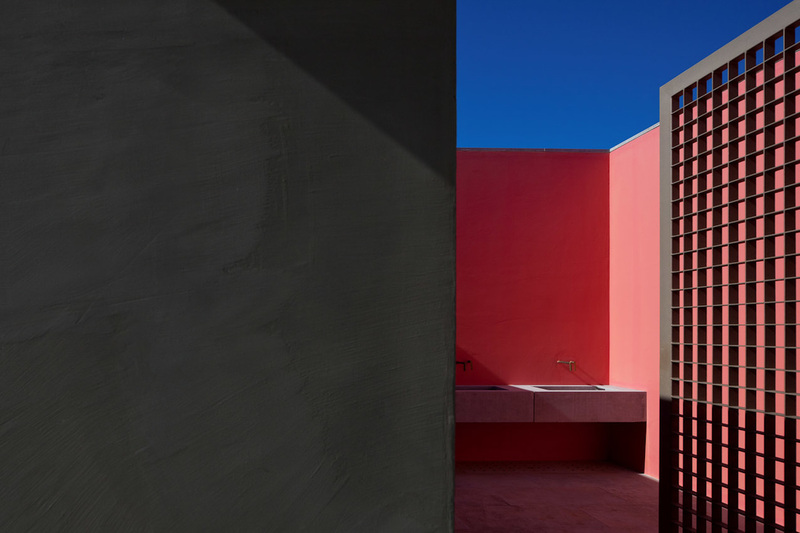 The basic character of the intervention is an attempt to deliver an approach were the new designed elements should be clearly defined against the background of both the natural and the built pre-existing elements, without challenging the latters’ character, tough. The project defines three areas, each of which with a different approach. 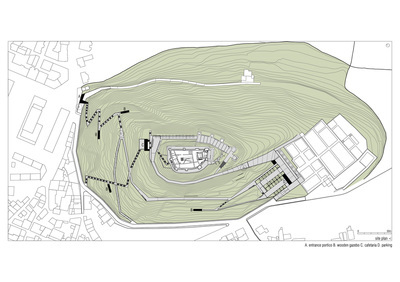 In the first area, the south and west slopes of the hill, the approach was focused in the idea of flow. 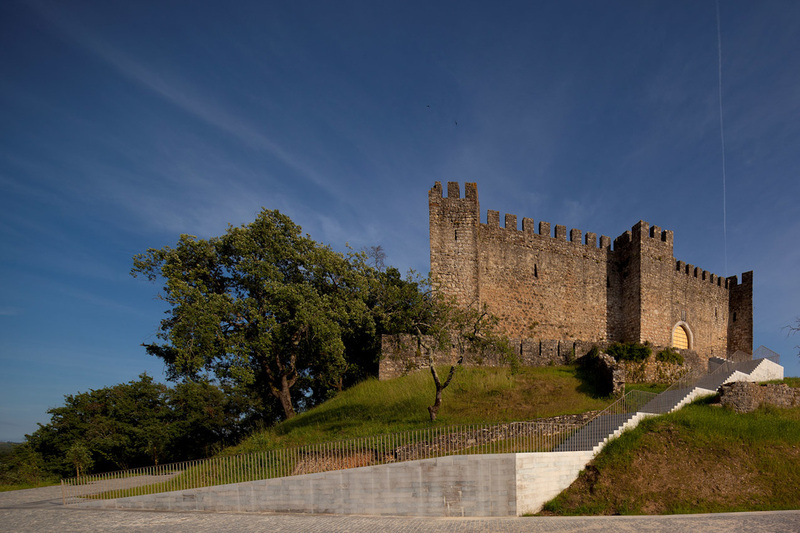 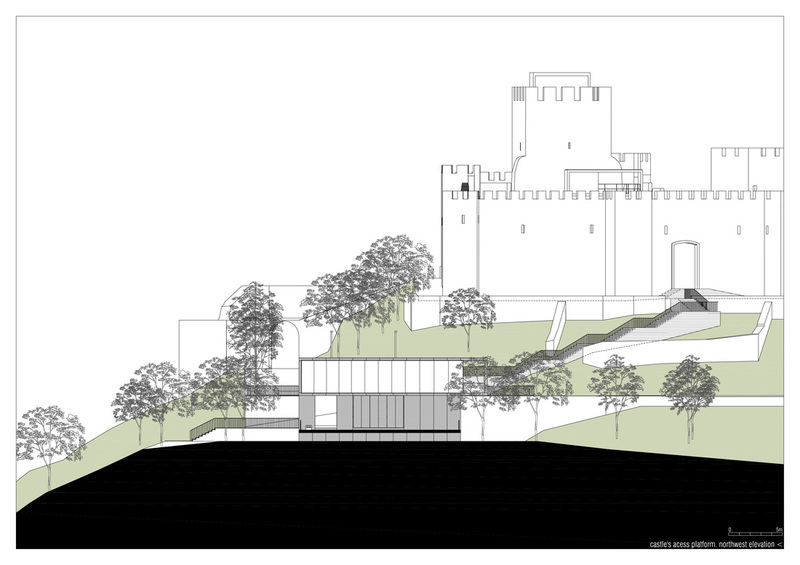 This idea was thus developed creating and highlighting connections between the urban areas at the bottom of the Castle’s hill, pathways along the slopes and gazebos to provide shelter and foster diverse experiences in the contact with the landscape. 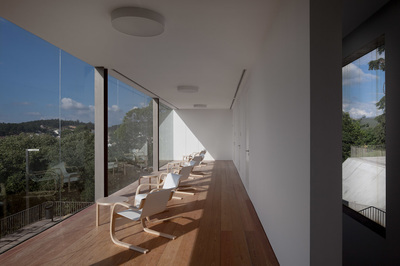 The materials used were prominently plastered walls, stone and grit pavements, and wooden structures. In the second area, in the surroundings of the cemetery, the approach was concerned with the idea of a topographical design of the infrastructure. 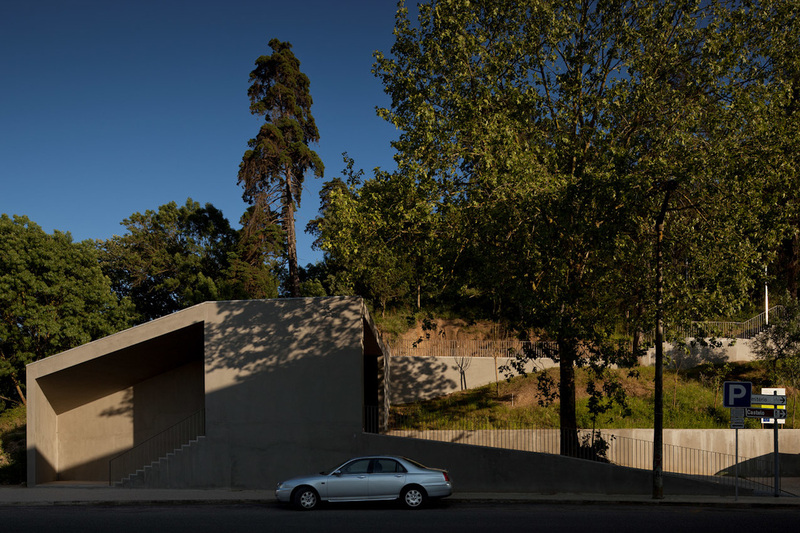 Both the parking area and the adjacent facilities were designed as topographical elements, concrete walls supporting the transition between sharp differences of levels. 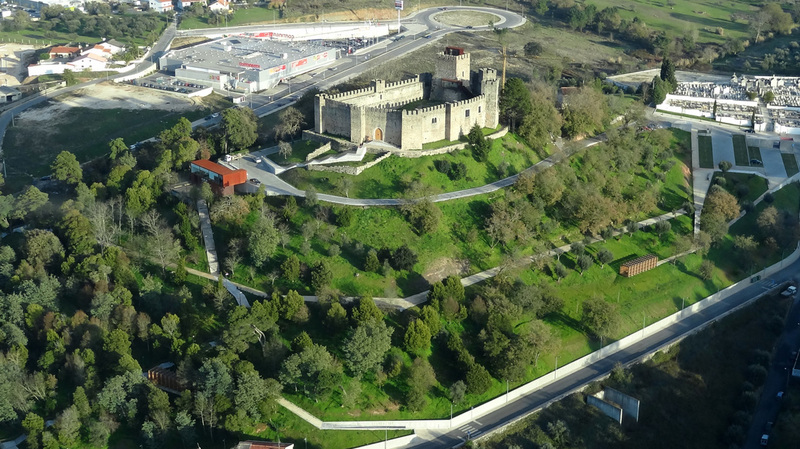 Finally, the third area, surrounding the walled precinct, aims to enhance the Castle as the main built element of the area. 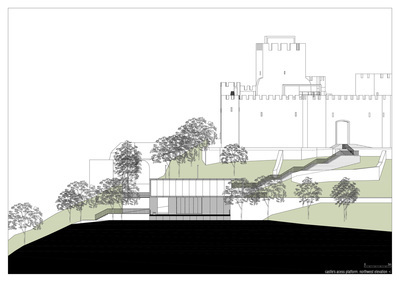 The west access to the Castle was redesigned, including the platform at its bottom. 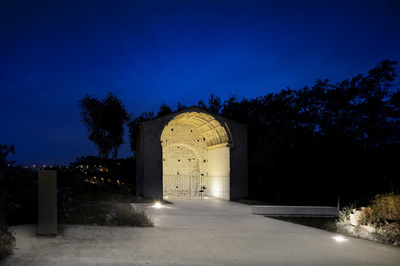 The surrounding area of Santa Maria’s Church was also redesigned to provide a public space that could foster its appropriation as a privileged stage for performances and other cultural activities. The material that is thoroughly used in this area is limestone, the same used in the main landmarks, the Castle and the Church’s ruins. 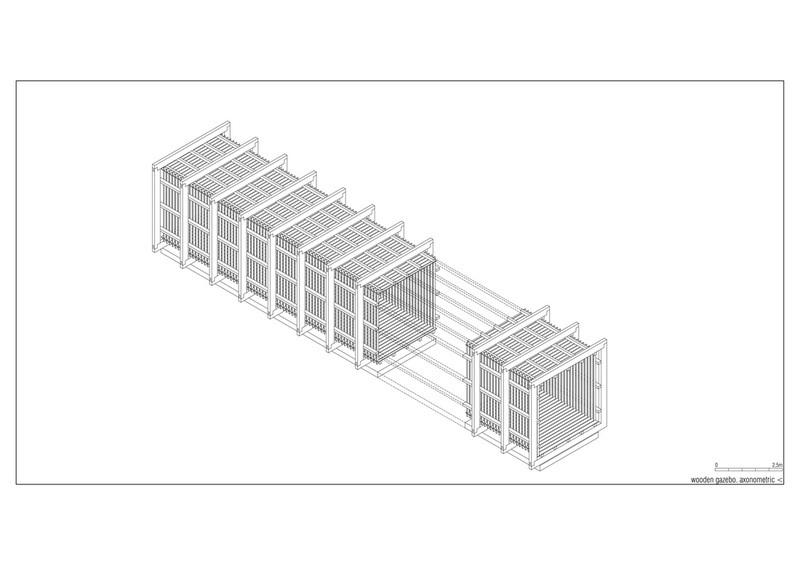 To work as a connector between these areas, a cafeteria was designed, proving thus an additional element to attract visitors to the area. 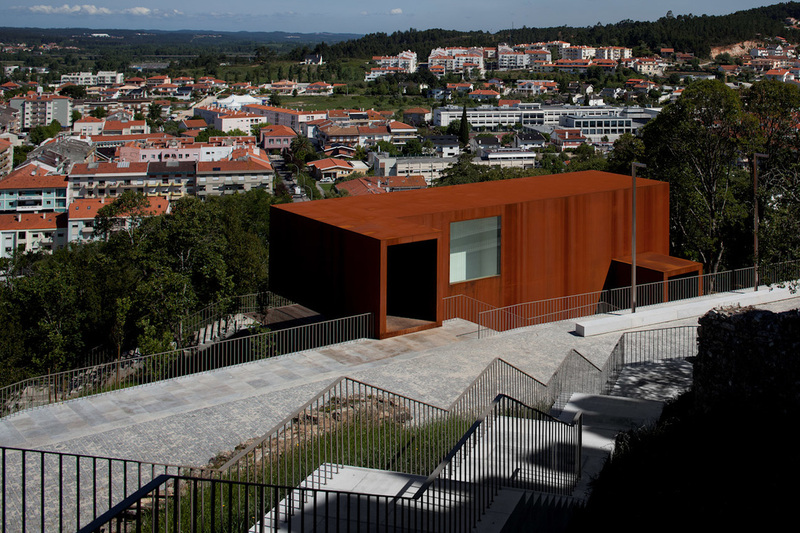 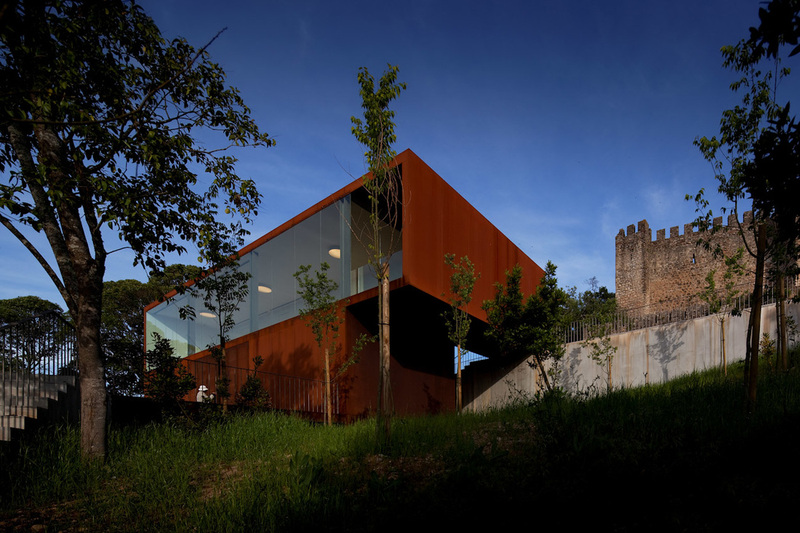 To highlight its singular role in the overall intervention, the cafeteria was built using a metallic structure and finished with corten steel panels both on its façades and roofs. It embodies, thus, the design’s strategy of affirming the new against the pre-existing preserving, however, the identity of the place. Full photo coverage of this project on the site of FG+SG Architectural Photography. 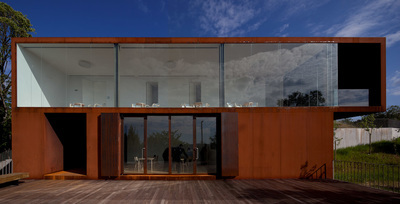 Published online on dezeen. 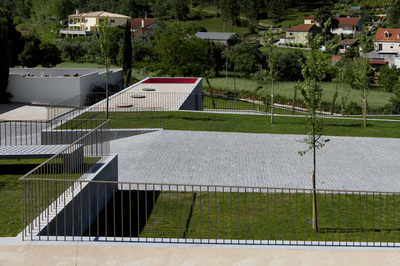 design magazine, 02-02-2012; Inhabitat, 03-02-2012; ArchDaily, 09-02-2012; Plataforma Arquitectura, 11-02-2012; Architizer, Yatzer, 02-07-2012. 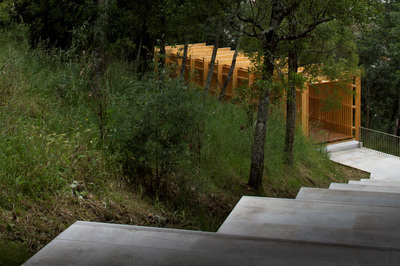 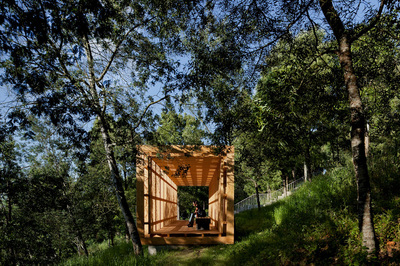 Finalist in the National Prize for Architecture in Wood 2011, granted by Autoridade Florestal Nacional.